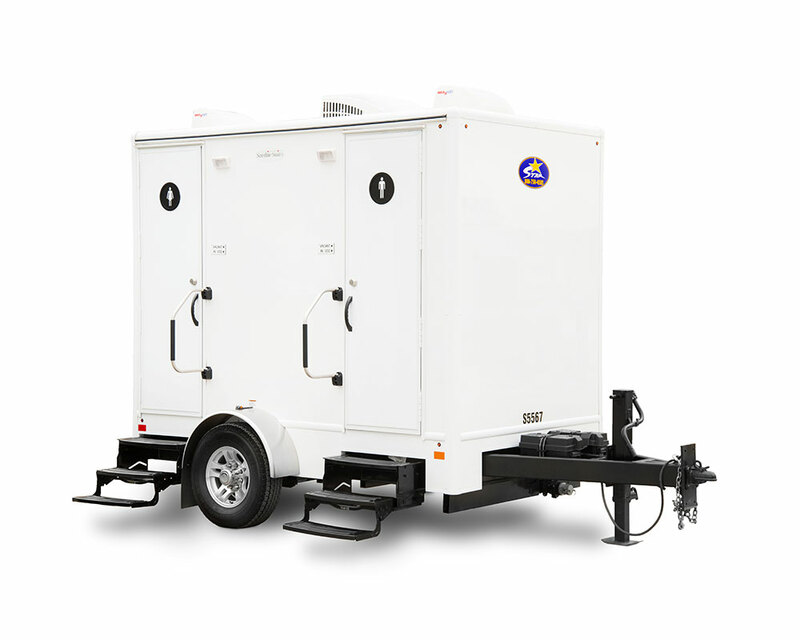 A portable restroom trailer that brings simplicity and comfort to our line up. The trailer is equipped with two restrooms. Each restroom is fitted with a flushing latrine and a self closing faucet. The overall uniform design of the trailer allows the unit to blend in many crowds. This unit is self contained and is fully functional after our delivery technicians set up the unit. However, in order to operate the optional air conditioning, the unit must be plugged in to Two 110v power source. Call our office for more details or clarifications. A/C is optional, if you do not require A/C, you do not need a power source to operate the unit.